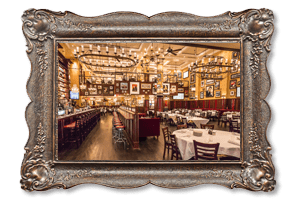 In honor of National Meatball Day Carmine's, one of the best restaurants in NYC is giving away their famous meatball recipe. Ellen: Alright Andy, what’s coming up here in just a couple of minutes now on Great Day Washington? 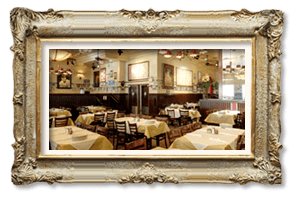 Andy: Now, I’m at the legendary Carmine’s restaurant, today is National…what does that mean to you at home? It means one dollar, one meatball. I know, it’s great stuff plus it helps DC kitchen, we’ll talk all about that. Lady 1: Good morning and welcome to Great Day Washington. I love that image of me with the frying pan, it’s perfect for first thing in the morning. We’ve got a lot coming up this hour. Today is National Meatball Day coming up, learn how to make the perfect meatball and see how one local restaurant is using this recipe for success to help feed those in need. Andy: Welcome back to Great Day Washington. Today is National Meatball Day, what does that mean to you? Well, it means if you’re in the area and you stop by Carmine’s between 10 and 12 for one dollar, you get one meatball. Now, I’m surrounded here by some really nice guys who have been working with us all morning long so, ok. Carmine’s, you kind of run the show around here for lack of better term, this is Brian, this is Mike from DC Central Kitchen, we’ll talk to him in just a second but the meatballs! I mean, they’re like, it’s like the crown jewel of Italian food. Brian: It really is. It really is and now, we’ve been doing this for over 27 years now and this is the original recipe to Carmine’s and it’s found in our cookbook as well here. Andy: You guys just give that thing out huh? Brian: We give our recipe out here at Carmine’s. Yes. Brian: It’s made fresh every day. Andy: I love it. Ok. What do we need to do to get started? Brian: We got some ground beef, we’re going to put that in there, my friend John here, John right? Andy: You guys do this, this is old school Italian from New York City right? Brian: Yes. Yes. Old school New York City. Andy: Doesn’t get better than that and I’m going to let you guys continue to work on that recipe, I’m talk to Mike Curtin. So, put in perspective for me, a lot of people are familiar with the name DC central kitchen but what is it that you guys do? Mike: Well, we use food as a tool to strengthen bodies, empower minds, and build communities. So, a lot of people think about food when they think of Carmine’s so, that’s reasonable. We do three million meals a year that we put into our community but while we’re doing that and most importantly, we’re training men and women to have face titles to employment such as incarceration, addiction, abuse, trauma, to get jobs in the hospitality business like places like Carmine’s or work in our social enterprise businesses that expand access to healthy food and create meaningful career opportunities throughout the District of Columbia. Andy: And really, what helps you guys community relationships with local businesses and people? It’s huge. 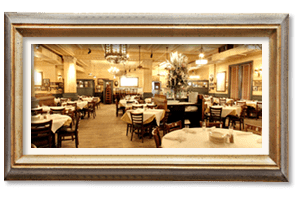 Mike: Well, we absolutely couldn’t do what we do without the support of, the amazing support, of the Restaurant Hospitality Community in Washington DC and Carmine’s is a big part of that, they host internships, they’ve hired men and women who’ve graduated from our training program and really, we have that support throughout the restaurant industry. It would be fair to say that DC Central Kitchen was built on the back of restaurant tourists who really beloved in what at the time was a crazy idea that we could take food that was going to be thrown away, people that have been marginalized, pushed to the side, out those together in a different kind of way and elevate the conversation and create change in our community. Andy: Talk about the recipe for success right there, I mean, you guys absolutely nailed it. Oh, look how far long you guys are. I was busy talking. Brian: Busy talking. John has been mixing it all up. Andy: You guys make a lot of meatballs too. How many a year? Brian: We do about 200,000 meatballs a year. Andy: That’s what I’m talking about. That’s some serious meatballs right there. So, here’s the thing guys today. From 10 until 12, stop by, this is what you get. Well, the cooked one right? So, how many ounces of meat? Brian: There’s about 7 ounces of meat. Andy: Ok, great. Ok guys, it’s just a dollar and all the proceeds today go to help DC Central Kitchen. It’s an incredible recipe for success. Did you know Today is National Meatball Day? Find out how Washington is reacting to this foodie holiday and how meatballs are part of the campaign to help feed local families. That’s right after the break. Andy: And welcome back to Great Day Washington. 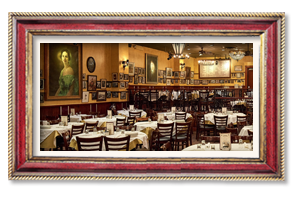 We are celebrating National Meatball Day at the legendary Carmine’s restaurant. Look at that right there, this is we… in the first episode, you saw us make them, now we’re selling them. Ok, so, this isn’t the first time you guys have been aligned with DC Central Kitchen. Brian: We’ve done that at several different fund raisers and partnered with them on other events. 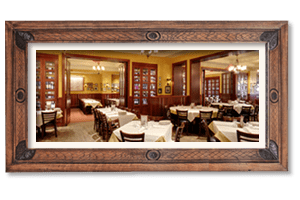 There is the Food fight and we’ve always been a part of that so, we’re very proud here at Carmine’s to be part of DC Kitchen as well. Andy: You know, it’s great. Ok guys, look. There’s steam coming off these bad boys. So, we’ve got a long line right behind us here and they’re going to come and buy their meatballs, it’s one meatball, one dollar and actually, oh my gosh, are you kidding? My photographer, Dave , the Italian standing behind the camera, he wants meatball. Ok. We’ll do that. Brian: Here you go Dave. Andy: So, let’s talk about when people think of DC Central Kitchen, they think of the good but it’s really a lot about the training. Mike: It absolutely is and what’s interesting is no matter how hard we try and we try everyday and we’ve been trying for a long time, we will never feed our way out of hunger. What we really need to do is create opportunities for men and women to sustain themselves and so, the heart and soul of what we do at DC Central Kitchen is our culinary job training program, training men and women to get jobs in this amazing hospitality business throughout our city but also work at DC Central Kitchen in our social enterprise businesses, the largest of which is our locally searched cook grad cooked school good business which employs dozens of these graduates and provides healthy homemade food to DC students mostly in Ward 7. Andy: Alright and you can’t beat that. Ok. So, it’s appropriate then that our first meatball of the day goes to a graduate of the program and are you currently seeking employment? Man: Yeah. I’m supposed to be starting Food Poki this coming week as a matter of fact. Man: Thank you so very very much. Andy: Ok. So, since now you’ve had some practice in the culinary industry, how does the meatball look to you? Man: It looks delicious. It looks delicious. Andy: Gentlemen, thank you so much and just a reminder to everyone, we are at Carmine’s and it’s 10 to 12 today, you can come down here for one dollar and get one meatball. Thanks gentlemen, let’s toss it back to the girls in the studio. Lady 2: That was amazing. 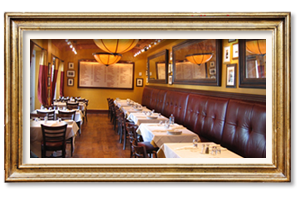 Find Carmie's Italian restaurants near me or plan your next event with Italian catering from Carmine's.